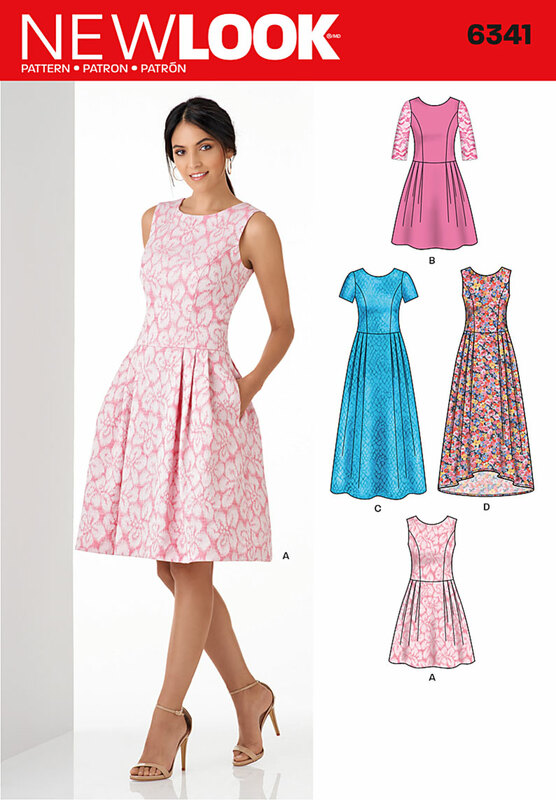 Misses dress with princess seams and scoop back with sleeve options. This dress was an eye opener for me. 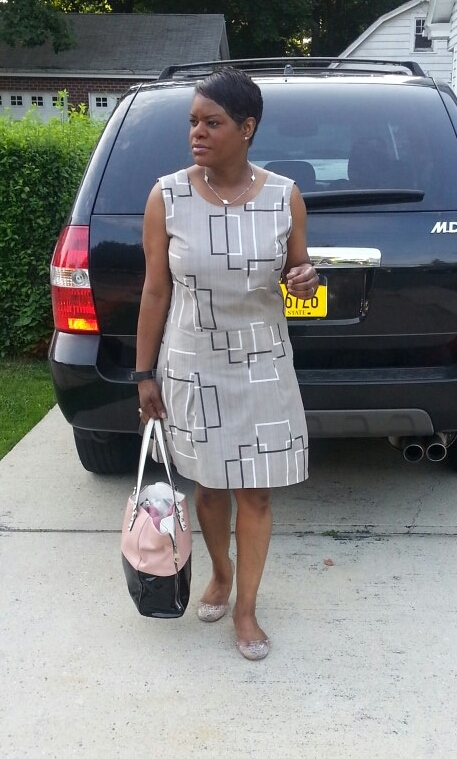 After being inspired by my sewing sister, I jumped in and decided to give it a try..... 1st dress. Cut 16, 14 @ neckline & shoulder and 16 armhole. Immediately worked up a 2nd one in a light weight stretch denim. I made the same adjustments on the garment that I'd made for the first one, which were removed 3/8" from each side seam and 1/4" from center back seam, 1/4" shoulder seams, scooped 3/8" from front neckline, opted out of the center back zipper which is so not needed. 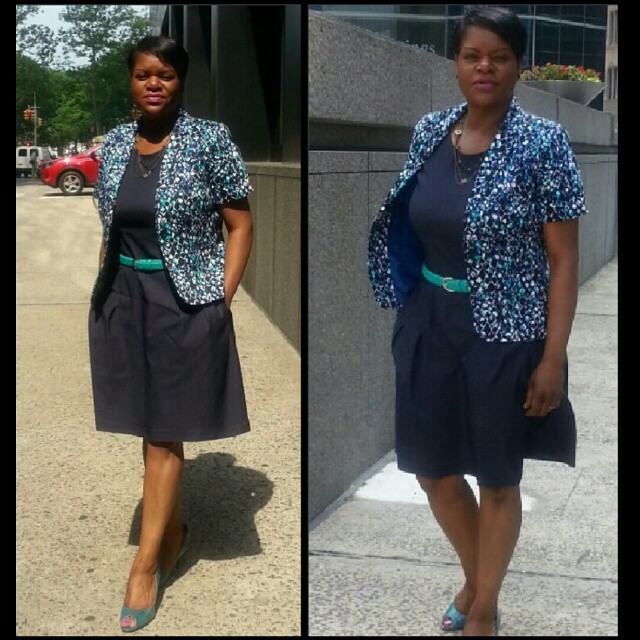 Lastly used the side seam pocket pattern piece from New Look 6351 and fully line. 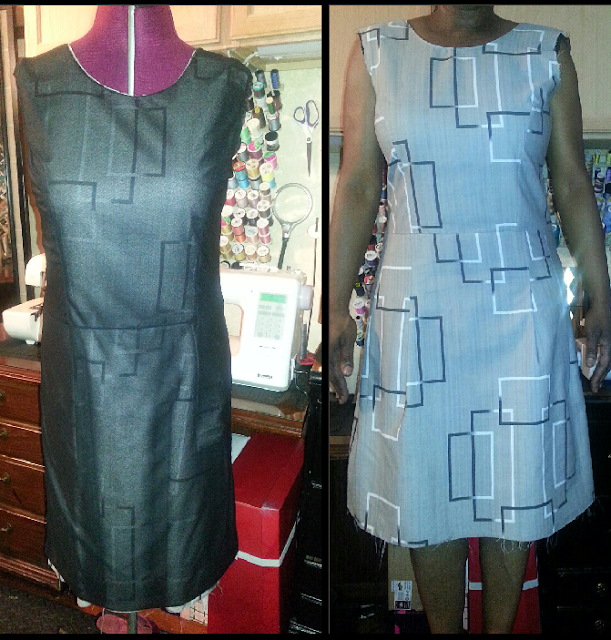 Knowing that I wanted to work up another dress in a woven (printed cotton/poly), I kept the pattern intact at a size 16. Adjustments were 1/4" from the shoulders seams & seams and scooped out 3/8" from the neckline, stitched down the pleats an additional 2", shortened hemline by 2", fused hemline with heat n'bond, fully lined and hand stitched lining at armholes. Must say this dress is my favorite.. love everything about it. The weather was expected to feel like a hundred degrees, how wrong can one go with cotton/poly. 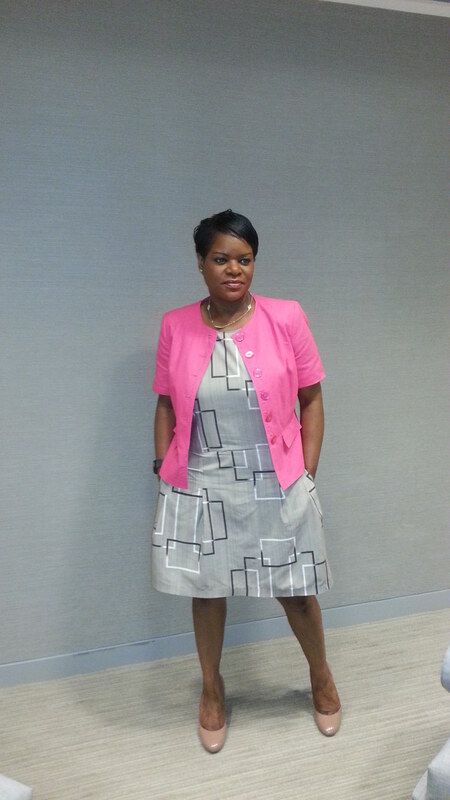 In the office where the temps are cooler, I donned a hot pink chadwick blazer that I'd refashioned two years ago. I love all of your versions of this dress! I agree with Carolyn, I love every version you've made so far. Gorgeous Sheila, each piece is simply gorgeous. Love this dress and nice job! They all look great, all are very flattering on you ! Your refashioned pink jacket really enhances the outfit too. Wow, all of your dresses look so different, but fabulous, each in their own way.